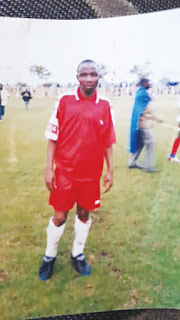 MASVINGO - The first player to captain Masvingo United when it entered the Premier League in 2000, Roland Madziva is no more! Madziva who was a centreback defender and led the team to Premier Soccer League collapsed at his Mucheke home and died after being flown to Parirenyatwa in a Mars helicopter on Thursday evening. Hundreds of soccer lovers, Masvingo residents and people from all walks of life converged at Madziva’s residence in Mucheke A and the Lawn Cemetry in Masvingo where he was laid to rest on Sunday afternoon. The who is who of Zimbabwean football either attended the funeral or sent in condolence messages for the legend who became a coach after hanging his boots. Former Mayor and current Masvingo United chairman Hubert Fidze was also present. ZIFA was represented at the funeral by Noberth Magwizi (chairman Masvingo Province), Tinashe Gomba and Wellington Muchemwa. 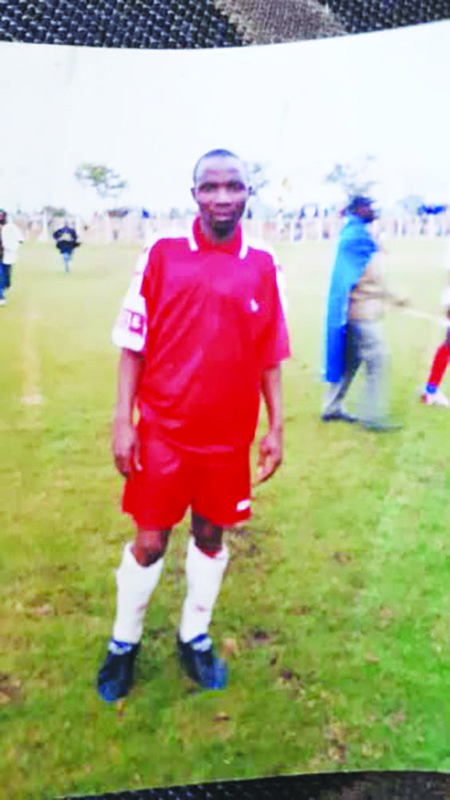 Businessman Tanda Tavarura, a one-time owner of Masvingo FC was represented by his son Cornilious Mhunga. Ovidy Karuru, a national team player and one of the leading soccer players in South Africa today sent his condolence messages while many more messages poured in from WhatsApp groups of legendary players from different towns in Zimbabwe. Among the coaches who sent in their condolences are Calistos Pasuwa (former Dynamos coach), Saul Chaminuka (Mbabane Highlanders in Swaziland), Luke Masomera (Manica Diamond Football Club), Godfrey Tamirepi, Tembo Chuma and Cuthbert Kwangwari. Mourners were also told of the immense financial support for the funeral received from soccer players and administrators from both within and outside Zimbabwe. The funeral was an apt tribute to a man who contributed so much in bringing top flight soccer to Masvingo when his body was taken to Mucheke Main Post Office and mourners marched behind the hearse to Mucheke Stadium where Roland Junior, the deceased’s last born 13-year-old son was handed a soccer ball by Clemence Zuze and Collen Maboke and he kicked it into the nets in memory of the great player’s garland days on the field. Roland Junior also received a Masvingo united jersey (12). Zifa (Masvingo) also stopped all weekend matches in honour of Madziva and to give a chance to all soccer fans to attend the funeral. “Rest in peace Bla Roland Madziva, Masvingo legend”, wrote Karuru on his Facebook page. Shara Taderera, a soccer fan responding to Karuru’s post said, “Rest in peace rock steady defender, one of the best defensive talents to come out of Masvingo alongside the late Francis Shonhayi , Misheck Major just to mention a few.”. Ndarama Old Students Association (NOSA) where he went to school also sent its condolences. There was also a message from RCZ FC. “He was a pivotal member of the Una Una squad which first gained promotion into the top fight league,” said RCZ FC on its Facebook page. Assistance was received from soccer players like Maxwell Chambara (United States of America), Jemias Chimwanda (Australia), Ozwell Sibanda (UK), Ovidy Karuru and Lloyd Hlahla. Madziva coached Gutu Leopards Football Club, Victoria Football Club and Chief Roo Academy. He attended his primary education at Don Bosco in Masvingo and secondary at Ndarama High.